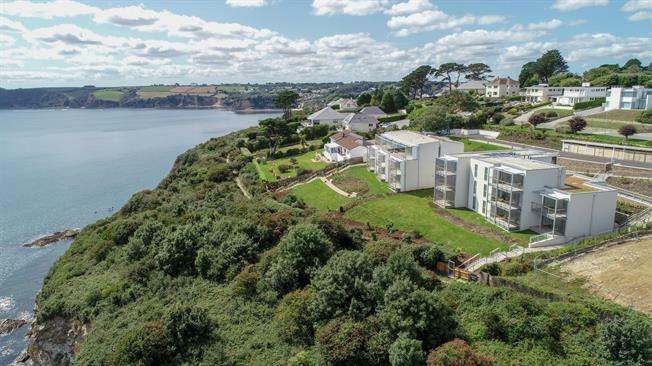 2 Bedroom Flat For Sale in St Austell for £500,000. Kitchens are provided by Kettle Co Kitchens and feature a modern and contemporary layout which complement the open plan nature of the living space. Work surfaces are 20mm Silestone Quartz with a range of base and wall mounted units fitted. Appliances are supplied by Bosch including a single oven, ceramic hob, integrated extractor, microwave and integrated dishwasher. Fridge and freezers are also integrated on a 70/30 split.